A good foreign language teacher is not only the creator of the student's basic knowledge and a mentor of educational process; the teacher is also a guide in the world of a new culture, mentality and social peculiarities of another nation. The teachers of ACCENT Language Center are the real fans of their work, they've got broad work experience and many of them have undertaken their internship abroad. All our teachers have the higher pedagogical education and aside from that, the majority of them are the owners of various international certificates. Specialized trainings are held monthly for our teachers; the trainings are focused on educational technique, new technologies in education and study materials application. It allows not only sharing various best practices of the educational process, but also keeping one's professional level. The native speakers can be particularly highlighted among the teachers. Lessons under their guidance are reasonable at high levels of language proficiency when it is necessary to improve pronunciation, fluency and perception of speech. Our teachers understand how important it is to teach grammar, pronunciation, the key rules of a foreign language, and to share their love and enthusiasm towards the subject as well, in order to make the education enjoyable and interesting for a student. If you are our major client, a personal manager will be assigned to you; the manager will not only supervise the process of education in your company, but also keep in touch with you virtually 24 hours a day. Dana is one of the most vivid and creative teachers of ACCENT Language Center. She graduated from Moscow City Pedagogical University, the Faculty of English Philology. She speaks English perfectly, and also speaks French and Arabic. She also graduated from Moscow State University, Faculty of Psychology, with degree in business training and psychology. She has had her training several times in England, has a broad experience of teaching in corporate groups and worked with the following clients of ACCENT Language Center: “Johnson & Johnson”, "Pfizer", "Miel", "Caterpillar", “TRUST bank”, “ABB”, etc. She develops and conducts a number of methodical trainings for the teachers of ACCENT Language Center and the business trainings in English as well. Lilia graduated from the Institute of Linguistics of Russian State University for the Humanities with a specialization in Linguistics and Translations. Apart from English Lilia also speaks Italian. She has a broad experience in teaching foreign languages to groups and individual students with levels from Beginner to Upper-Intermediate. In order to help her students acquire English better, she uses various additional materials during her lessons, which makes the studying process interesting and easy. Yulia is a young and active teacher with more than six years’ experience in teaching, for the last two years Yulia has been working with corporate clients. She graduated from Chernyshevsky Saratov State University. She has experience in living and working in the UK and in Germany. Matt is a training specialist of ACCENT Language Center. He graduated from the University of Wolverhampton with a specialization in Linguistics. 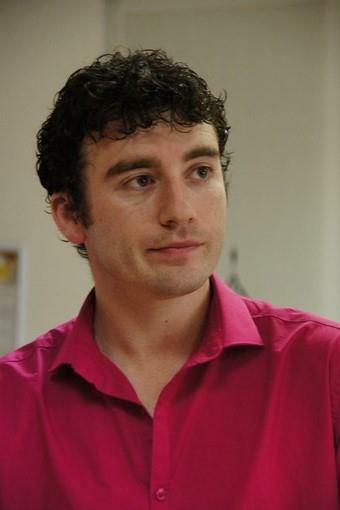 Matt has experience in teaching English in the UK, Sweden and Russia. At the moment he conducts inner and open trainings for the teachers of ACCENT Language Center. 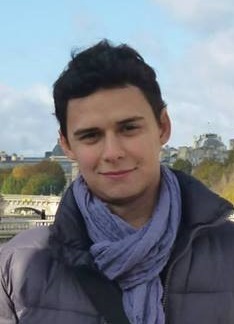 Raul graduated from Moscow State Linguistic University with an additional education in law. He easily gets along with his students. During his lessons, Raul uses a lot of authentic materials, including newspaper articles, music, movies fragments, educational videos. Raul works with students of different levels – from elementary to advance, and his particular focus is teaching business English. Raul constantly develops his skills by attending seminars in the British Council and communicating with native speakers. 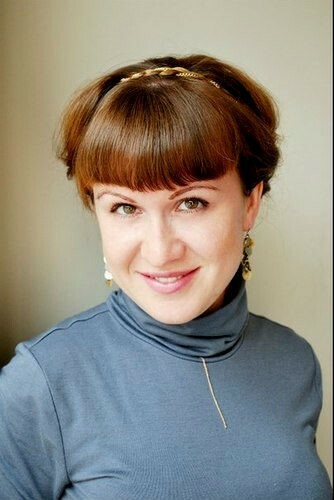 Anna is a graduate of the Moscow State Pedagogical University, Faculty of English Philology. Anna is a teacher with a broad experience and excellent recommendations. A strong teacher who will help to overcome the language barrier and to master the colloquial level of English rapidly. The finest expert in the field of listening comprehension and the most difficult aspects of foreign language. Anna has a CAE certificate. Tatiana is a graduate of Moscow Pedagogical Institute of the Humanities, Faculty of foreign languages with a major in Teaching English. Tatiana has a broad experience in teaching foreign languages in groups and to individual students. Tatiana actively socializes with her colleagues and attends professional trainings, including Teacher Training in Boston. Mikhail has an excellent linguistic education and more than fourteen years’ experience in teaching English. He graduated from Ogarev Mordovian State University and has experience of living and working in the USA. Mikhail’s students love him for his high professionalism and charisma. Svetlana teaches English for all levels – from elementary to advance. She graduated from the University of Russian Academy of Education with a major in Linguistics, took an internship in the University of New Mexico (USA). Svetlana has an international CELTA certificate. She conducts interactive lessons, her students enjoy her lively and exciting classes, they learn to understand and feel the foreign language in a better way. Aleksandra graduated from Kuban State University with a major in Teaching Russian as a foreign language and Teaching Italian. Upon graduating Aleksandra started working in the university as a Russian teacher for foreign students. She has more than sixteen years’ experience of teaching, she perfectly knows and understands all difficulties and pitfalls of learning Russian. Her students note her interesting and creative approach to the lessons. Yulia graduated from Voronezh State University with a major in Linguistics. She has a wide experience in teaching English in groups and for individual students at an Intermediate level or higher. She also specializes in business English. Yulia’s professional interest is particularly focused on improving listening comprehension skills, developing vocabulary and actively using it in speech. Yulia’s lessons are dynamic and interesting, they are accompanied by different materials (videos, articles) on essential topics. Lancelot graduated from Cleveland College, Georgia U.S.A, with a degree of Bachelor of Arts, he has a specialization in the English language and History and the TEFL and TESOL certificates. Lancelot has English teaching experience of more than 5 years, including in Russian speaking countries. All Lancelot’s lessons are interesting and fun, they are aimed at the development of all language skills with an emphasis on conversational practice. He holds the following courses: Travel and General English, Exam preparation: IELTS, TOEFL/SAT, GCSE. Оlga graduated from Russian State University for the Humanities, Faculty for theoretical and applied linguistics. Olga is a highly qualified teacher, has a big experience in teaching and translating in the field of film and television. Olga speaks English at a high level and clearly explains all its aspects, which makes her lessons interesting and intelligible. She holds the following courses: Business & General English. Maria graduated from Uzbek State University of World Languages, faculty of the English philology. Maria has been successfully teaching English since 2006. She teaches language material of any difficulty in a fascinating manner, eagerly shares her professional experience with her students, thoroughly answers all the questions that the students might have during the course. Maria holds the following courses: Business & General English. Elena has two diplomas from Moscow State Linguistic University with a specialization in translations and foreign languages teaching as well as a certificate of teaching Russian as a foreign language. Elena is a creative and energetic teacher, during her lessons she creates a positive atmosphere and passes her rich and many-sided experience in a vivid, impressive and fun manner, which helps the students master the material in a better way. She holds the following courses: Business & General English, English for Travel. Darya has graduated from Moscow State Linguistic University. He has also had training in the USA for half a year. Darya does not only speak English fluently, but also owing to the transparency of her character she easily engages with people and becomes the favourite teacher of her students. She also teaches RaFL (Russian as a Foreign Language). 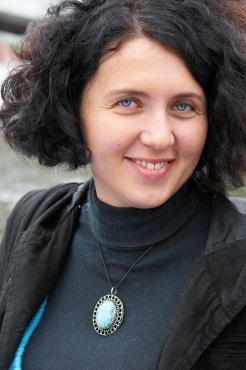 Nadezhda has seventeen years’ experience in teaching; she graduated from Krupskaya Moscow Pedagogical University in 1999 with a major in Linguistics, Teaching English and Intercultural communications. Nadezhda participated in educational AFS-Intercultural programs during the period from 2000 to 2007. She is the author of a training method of learning foreign languages, language trainer, certified trainer of Neuro-linguistic programming. Marina is a graduate of Moscow City Psychological-Pedagogical University, Faculty of foreign languages. She took three months’ internship in London. Marina has been teaching English for more than seven years. She loves her work, knows how to find an approach to each student and has a good sense of humour. In her teaching process Marina makes an emphasis on developing communication skills. 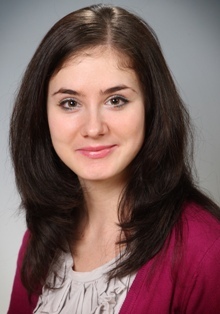 Anastasia is a graduate of Moscow City Pedagogical University with honours, she has fifteen years’ experience in teaching, has taken several internships in Germany (Goethe-Institut München, Berlin, Universities in Erfurt and Bielefeld). Anastasia actively teaches German and Russian for foreign students of all ages and has many years’ experience of corporate language teaching. In her free time Anastasia conducts excursions in Moscow for foreigners. Olga has had passion for English and the culture of English speaking countries since her childhood. Upon graduating she invested a lot of time in mastering English and communicating with native speakers. During her lessons Olga organizes different games, debates and discussions.